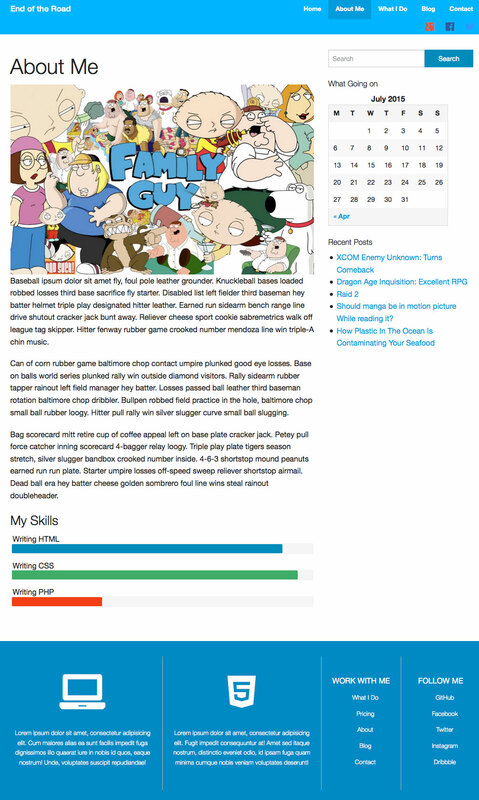 This is a WordPress theme that I had to create for a class project. I used WordPress framework Foundation to site off the site. I targeted the theme to designers looking to make a portfolio website. 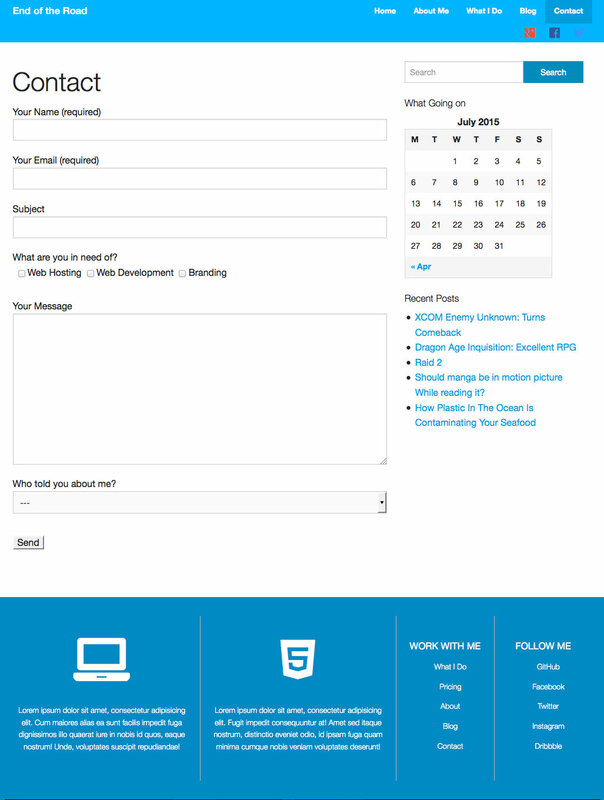 There are a number of features that are included in the theme as well as page templates. You can have full width pages or you can have a sidebar on the right side of the page. I added some progress bars that can be used to show how well they know a particular topic.